There are a lot of trees in the world some are very beautiful while some are huge, some are small while some are on the verge of extinction but there are some trees that are weird and only a few people know about these trees and it might not be wrong to say some of these trees are scary and might scare you away screaming or might leave you shocked. Bloodwood trees are one of a kind tree in the jungle world because its popularity of releasing a sticky substance from its barks and stems which looks like blood. This tree is also famous with the name desert bloodwood tree. These trees are predominantly found in the deserts of Australia. 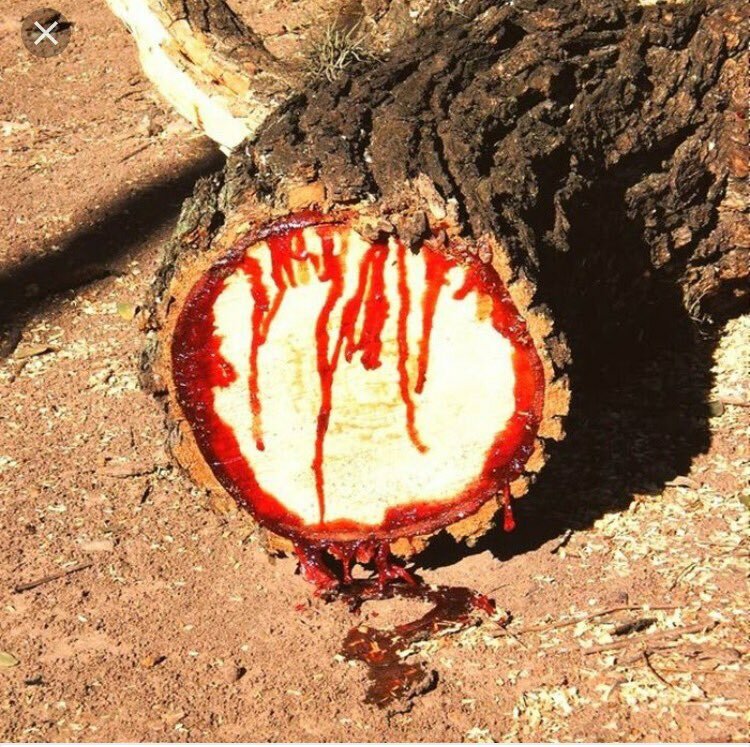 The desert bloodwood tree sheds a bark from itself thus forming a wound and as a result, leaking blood colored sticky substance from its wound and the gum so produced by the tree is collected for medicinal purposes. 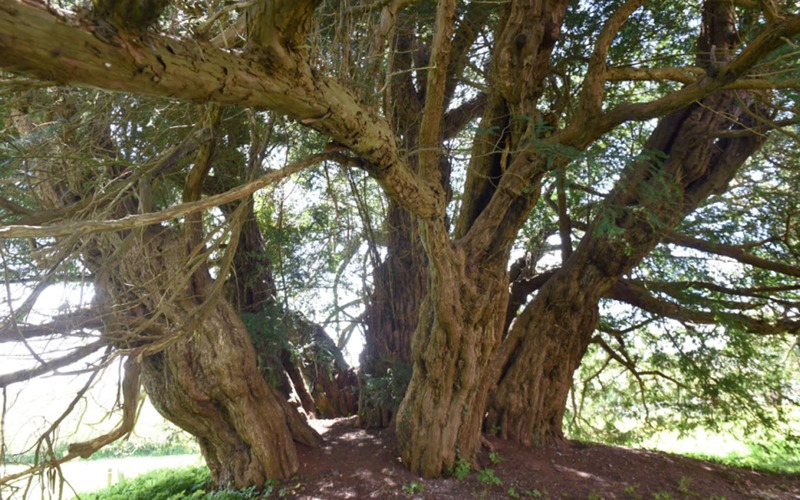 This is Britain’s oldest tree found in an ashbritle village. The name of this tree is ashbrittle yew and it is believed to be planted during the 2000 B.C. This tree is planted in the churchyard of ST Baptist. Yews trees are believed to have a significant place in Christianity. This tree has seven trunks; one hollow central trunk and six trunks surrounding the hollow trunk. Even though yews trunks are poisonous but they produce the anti-cancer drug and people worship it as a symbol of renewal and resurrection. 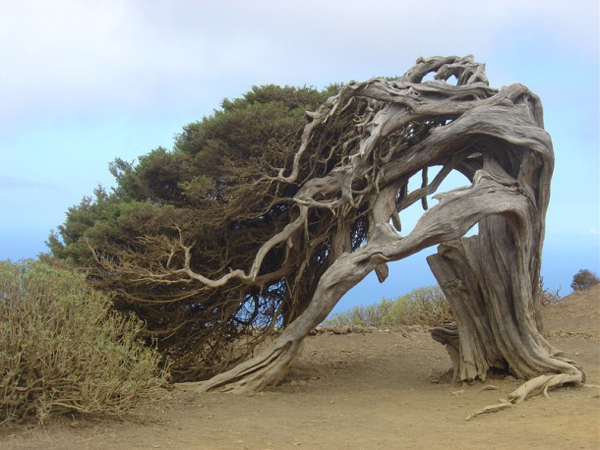 The magical tree with intertwined branches is found in Canary Island. This tree also produces a medicinal sap which useful for curing health problems and is also used to stain clothes and walls. 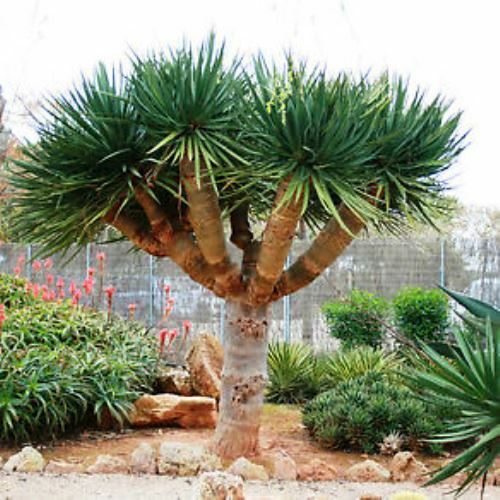 This tree is mostly seen in the northwestern region of the Indian ocean in Yemen, which is famous for its unique flora and fauna and is famous for its Socotra dragon tree, which is also known as the dragons blood tree. Jabuticaba is a type of tree which grows berries and fruits around its entire body and branches, these trees are predominantly found in Peru, Argentina, Bolivia, and Brazil. This tree is famous for its berries which are studded on the entire tree and they are used for a variety of purposes such as for making jellies or packaged juices and it also possesses several medicinal properties. 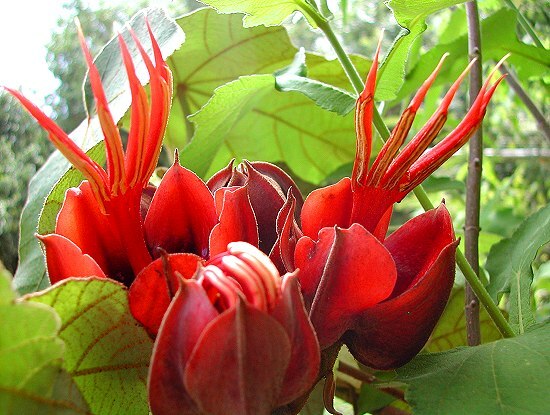 Devils’ hand Trees a flowering tree which is famous for it’s beautifully shaped five-fingered flower other names of the tree are the monkey or Mexican hand tree, this oddly shaped flower tree is found in Guatemala and southern Mexico. The flowers of this tree are famous for curing heart ailments and this tree has been an important tree in the botanical society of Mexico. During the Jurassic era, a genus of cone-bearing trees now called as Wollemia lived in the super continent of Gondwana. These trees were long remembered from the fossil record and were thought to have been extinct over 150 million years ago. But during a research few survivors of the wollemia tree were found to be alive in the Australian natural rain forest and now only 80 mature trees are found to be alive along with a few seedlings and juveniles. Trees may not have any defense mechanism to save themselves from being chopped down or being burnt. But they are more of a savior than anyone can imagine. 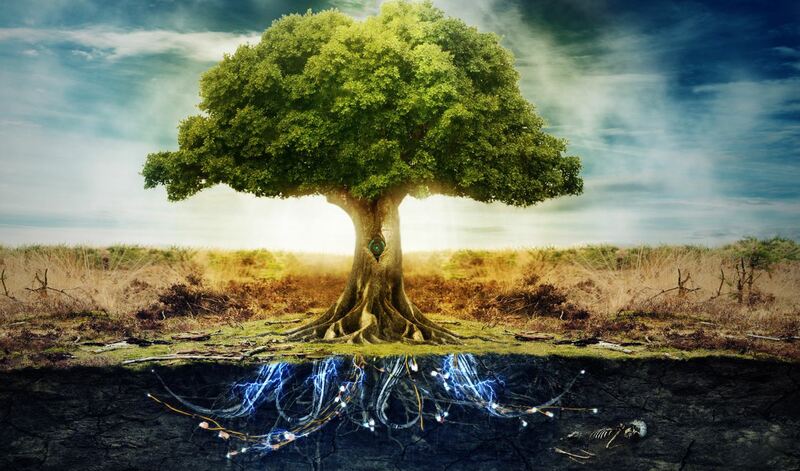 Trees have a defense mechanism that keep their enemies at bay and apart from that it also continuously keeps on fighting with any kind of fungus or any insect destroying the tree and its leaves and branches. The defense mechanism of the trees includes several chemicals that the trees emit to kill its enemies and apart from chemicals it also has several flora and fauna to defend itself. 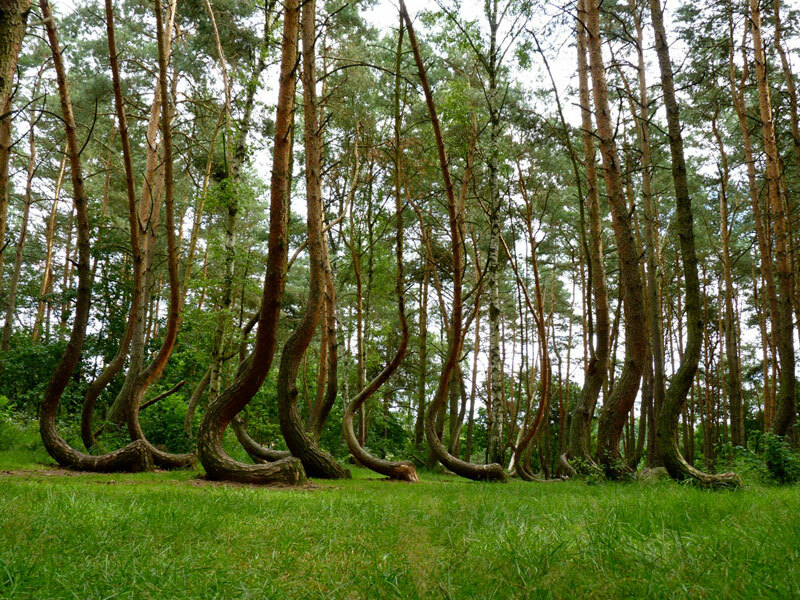 There are a lot of oddly shaped trees around the world but none of them are found altogether in a similar kind of peculiar shape.in a remote forest located near the town of gryfino consists of more than 400 oddly shaped trees which have formed curves and the reason behind the shape of all the trees is not found. But none the less these trees have gained quite a popularity and have become a very famous tourist spot. Most of the tree in the world grows upright, while some might be slightly bent. However, the El Arbol de la Sabina is completely weird and different as this tree is upside down. The reason for its strange growth pattern is none other than wind because as the wind blows the tree changes its shape and all around the year the tree has been found to alter its shape. This mysterious tree is the only tree of its kind in Bahrain and across miles, no other tree is found to be alive, this tree is found to be 400 years old and its roots being the deepest any tree could have grown.